Live TV Channels For ALL! World now so small with a high speed internet connection you will never miss your favourite live events from anywhere in the world connect your device with LeezTV Now! Enjoy all your favourite shows any time any where with high quality. Just one click – so fast, so easy! List your unlimited channels in your favourite list and get ready to enjoy it when you want anytime. With EPG reminder feature LeezTV will remind you before your favourite events get started. Explorer our TV entertainment with many varieties for all tastes news, kids, movies, music, sport and more you will discover it by yourself. LeezTV THE BEST WAY TO WATCH YOUR LIVE TV CHANNELS! 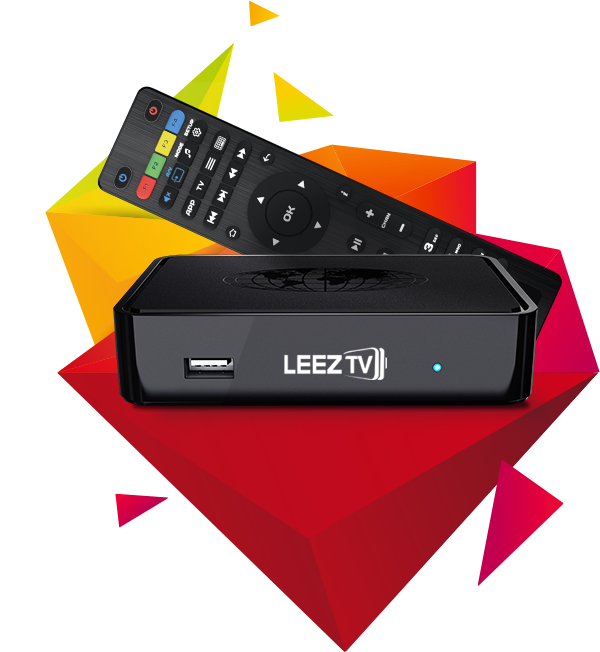 With the LeezTV™ Box you can enjoy Live TV Channels connect on your TV. Just connect your Device on the Internet and watch your TV Channels! LeezTV™ is a powerful Set-Top Box with efficient processor STiH207 and increased RAM memory, and it is an optimal solution for IPTV/OTT projects. The Set-Top Box is designed to fulfill business projects of internet providers, OTT operators and content aggregators. The increased productivity of LeezTV™ Box enables to use resource-intensive interactive applications and support 3D-video. Never miss any program and enjoy your favourite programs with your local timezone. Enjoy watching your channels with us anywhere just connect our apps with internet and enjoy. We support all apps to make sure you able to enjoy your channels any where with any device you prefer.